Dr. Paul Mandelin is a radiation oncology specialist in Corona, California. He got his diploma from College of Osteopathic Medicine of the Pacific and did his internship at Arrowhead Regional Medical Center. 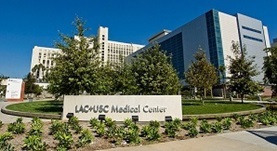 Dr. Paul Mandelin completed his residency in Radiation Oncology at the University of Southern California - LAC+USC Medical Center. The doctor is board certified in Radiation Oncology and has an experience of more than 10 years.